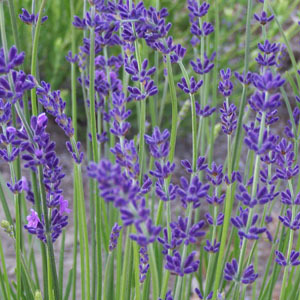 This English lavender cultivar was originally selected in France for their floral industry. Often grown from seeds, we only sell plants that are propagated by cuttings for uniform appearance. Perhaps the longest stems of any of our English lavenders, with dark purple flowers on long, airy spikes.